White Wolf Nutrition’s Iced Coffee Vegan Protein is a smooth and creamy, naturally complete, quick releasing protein. It is made from non-GMO, superior organic Belgium golden-yellow peas, extracted through a natural process to ensure maximum bio-availability. You will love the fact it is naturally sweetened using organic Australian stevia and is flavoured with natural, ground Arabica coffee beans. 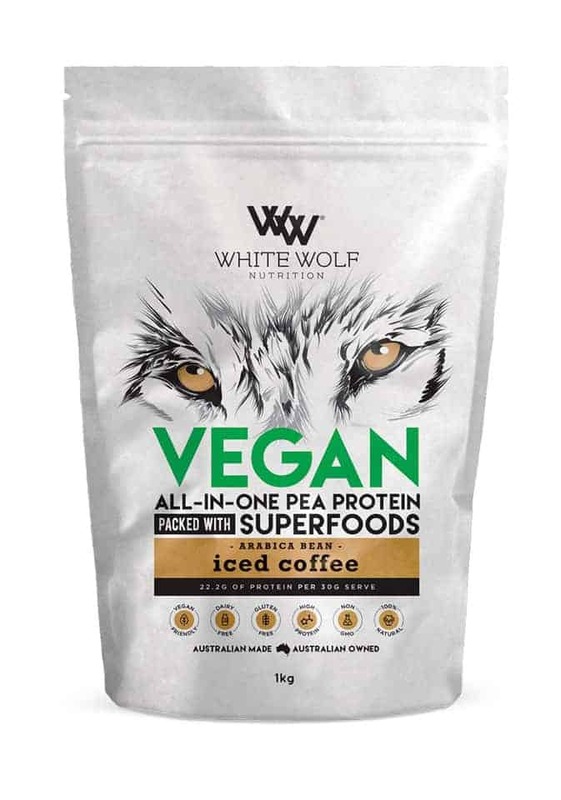 The Iced Coffee Vegan Protein is also free from dairy, soy and gluten. 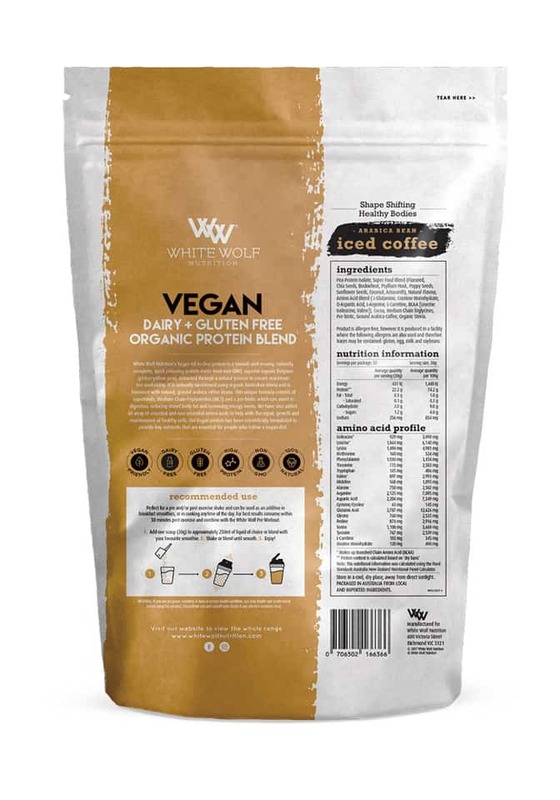 We don’t even need to add artificial sweeteners, thickeners, stabilisers or gums in our Vegan protein blend. Ideal for promoting healthy muscle, bone, hair and nails. 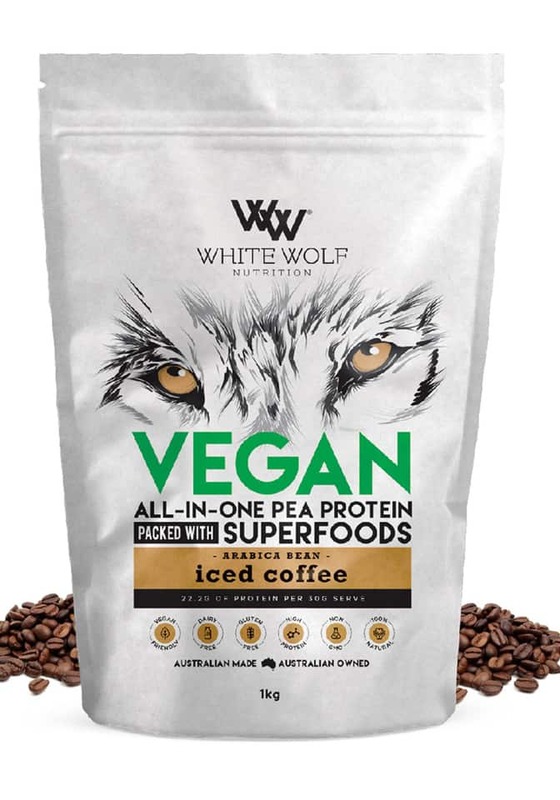 Try the Iced Coffee Vegan Protein today and see the results for yourself.